Our primary concern, when picking and combining the ingredients, is the taste and the top quality of the chocolate made. Since we believe, flavoring the chocolate, is just as important as selecting the right kind of chocolate for processing, securing a good chocolate importer, that meets the highest requirements for the top quality chocolate with rich taste and texture, is vital to us. By combining the right ingredients with the premium quality chocolate, we create a pruduct , which doesn’t only satisfy your craving for chocolate, but brings a smile to your face, gives you joy and the whole experience becomes engraved in your brain – creating a wonderful experience you’ll always remember. 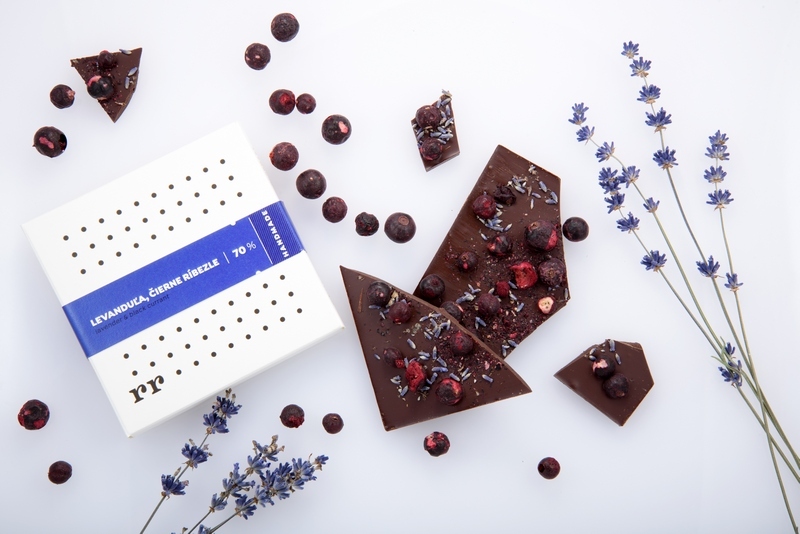 We are very delighted to say, that in our creative endeavour, we’ve also been able to work with Slovak fruits and seeds producers and therefore, have been able to bring a little bit of the beautiful Slovak nature into the Forra Chocolate products. The chocolates that come from the cocoa beans of the most famous cocoa plantations of Peru or the Dominican republic, ensure the great tasting experience. They are the products of the high quality processing techniques, and are the Fair Trade Certified or the Bio Product Certified. 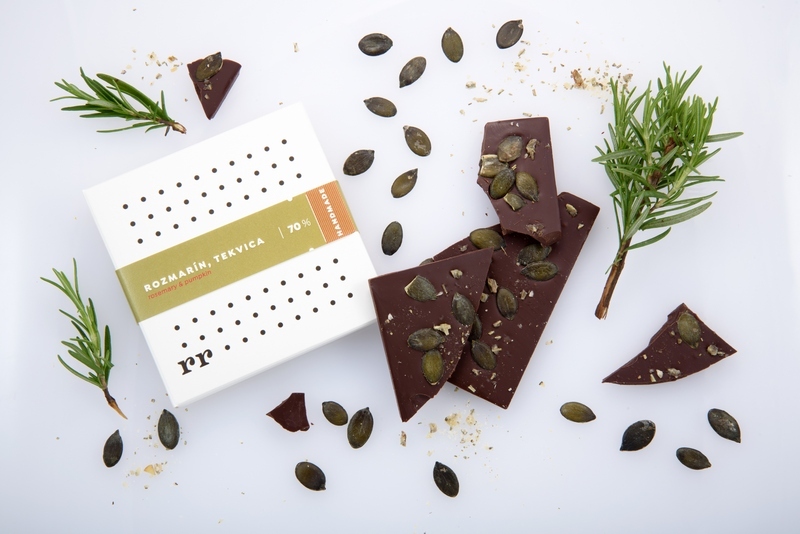 The Forra chocolate bars are decorated with freeze-dried fruits, dried fruits/spices/ seeds (which come from Slovak producers such as – habanero and tabasco peppers powder, pumpkin seeds or lavender). Quality Italian candid fruits ( lemon, orange), as well as black tea, coffee extract, and spices that are well paired with chocolate such as cloves or cardamom are also used. All the ingredients are selected to be of the highest quality, environmentally friendly and with the emphasis on the natural processing of the items. Let’s find the chocolate bar that creates an envigorating experience in YOU ! Boost your mood by this quality and as to its taste “ wonderfully colorful“ (Peruvian) chocolate while munching on the delicious pumpkins seeds as well as enjoying the many healthy benefits of the wonderful rosemary. 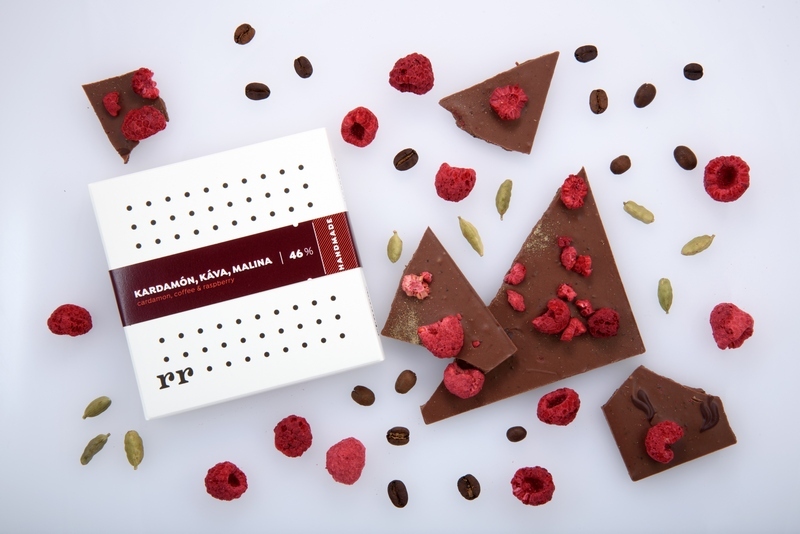 Coffee and chocolate, the two excellent companions, ( both come from the Dominican republic) in combination with the Indian cardamom and the delicious raspberry create a mesmerizing international taste experience. The chocolate that originated from the cocoa beans of the Los Bejucos region will give you a totally new milk chocolate experience. The sweet creamy-caramel flavors perfectly blend with the slightly bitter taste of the Dominican cocoa. 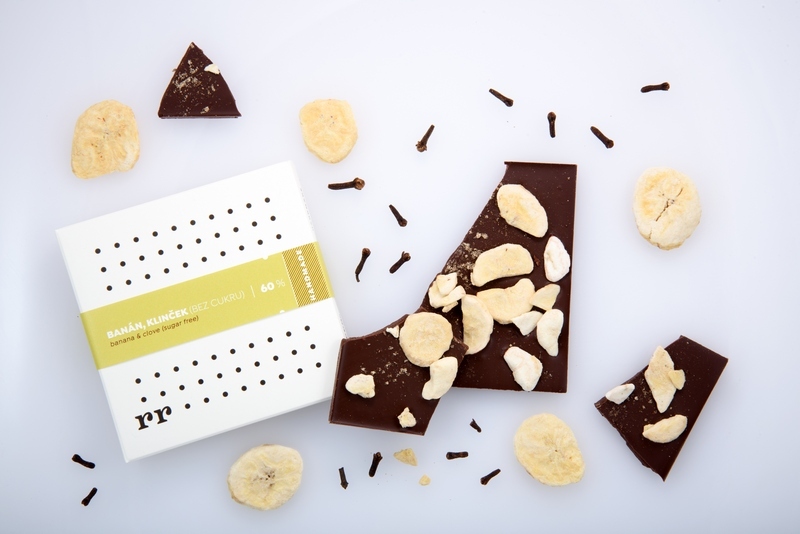 The mysterious blend of the tropical bananas and cloves on no sugar dark chocolate. Don’t worry about the lack od sweetness in this chocolate, because, the sweet taste is provided by maltitol sweetener together with ripe freeze-dried bananas. An ideal way to excuse a „sinful“ moment. ?! 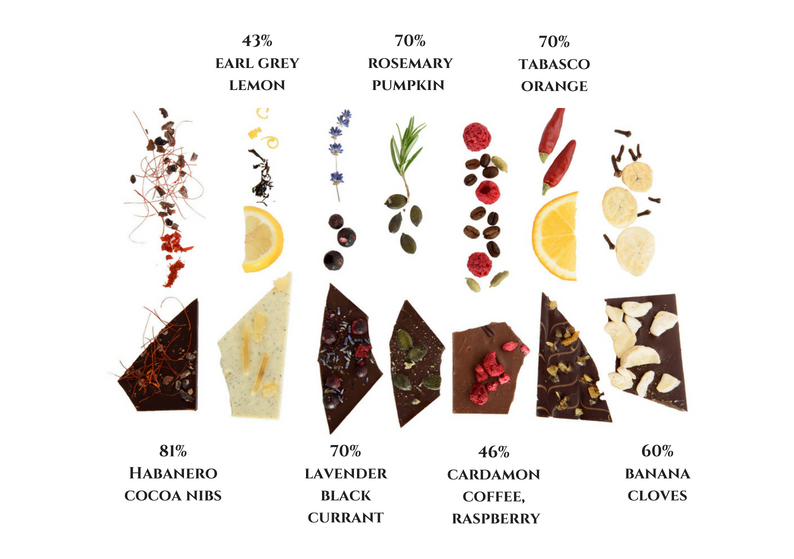 The combination of the high percentage and rich cocoa Bio chocolate (just slightly bitter) and the hot habanero, will introduce you to the genuine cocoa taste , as is known and experienced only by the Amazon Forest inhabitants. Enjoy the intensity of this rich cocoa taste and the aroma of the Amazon Criollo. In England, one surely cannot imagine black tea being served without milk. 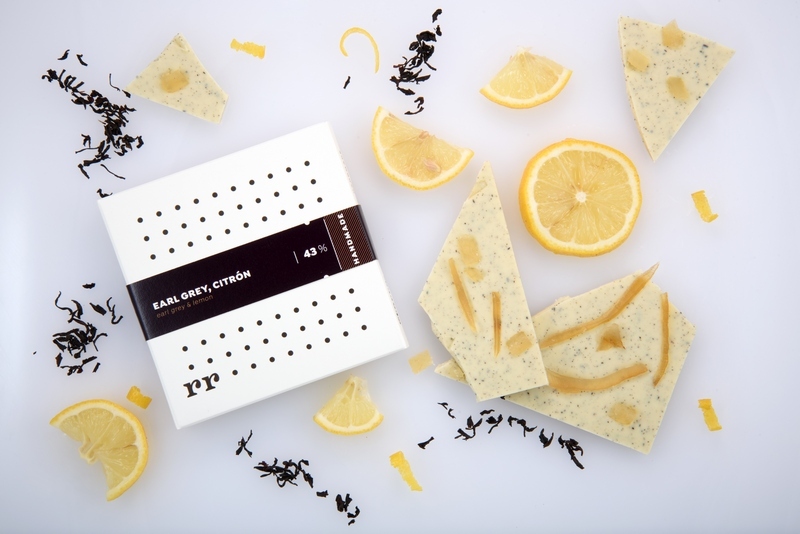 Here we have a lovely Earl Grey tea softened by white chocolate and some fresh lemon. Let yourself be carried away on the wonderful lemony- milk ocean wave , in which the cacao flavors are gently substituted by bergamot oil. A cup of tea, you will never spill ! The relaxing power of lavender, in combination with a great variety of tastes and aromas of the cocoa that comes from the Huallaga valley, Peru, enriched with the gentle fruity flavors of the chocolate, are sure to provide every chocolate connoisseur with some wonderful daydreaming moments, even on a busy workday. Only to be awakened and gently brought back to reality by the juicy blackcurrant. 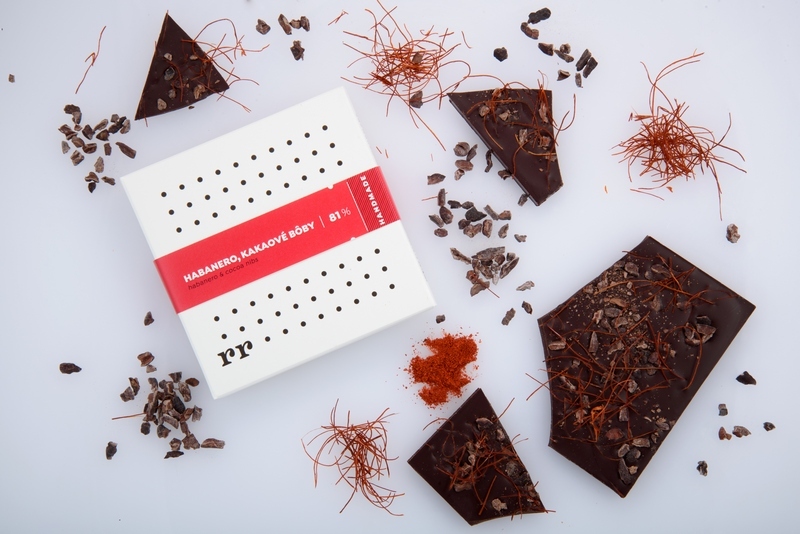 The combination of the hot Tabasco and a refreshing orange with the 70% dark chocolate, brings a playful symphony of the two ingredients, underlined by the juicy fruity flavors of the cocoa that comes from the Dominican republic and Peru. 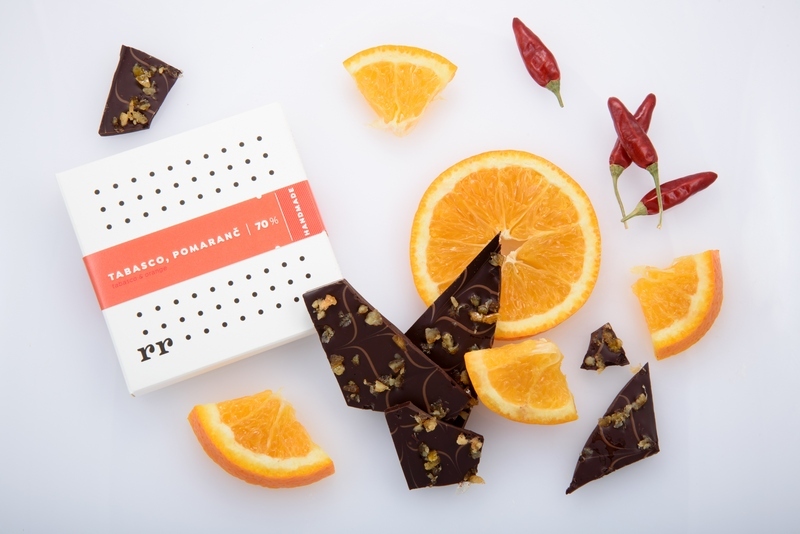 The top quality dark chocolate, Organic and Bio Certified, is combined with the candied orange bits and Tabasco peppers ( come from our local producer ).